Tommy Wright hopes the 31-year-old will add experience to his young Saints squad. 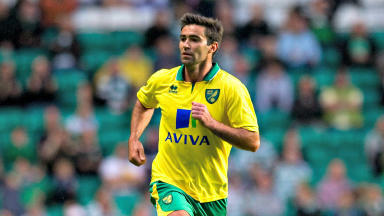 New St Johnstone signing Simon Lappin opted to sign for the Perth club over a move to MLS according to Tommy Wright. Lappin joined Saints on a two-year deal after leaving Cardiff City at the end of last season and now returns north having started his career with St Mirren. Manager Tommy Wright expressed his delight at Lappin's decision to turn down a move to the United States to join the McDiarmid Park club instead. "I'm really pleased," said Wright. "It had been outgoing for a few weeks but Simon had other options, one of which was in MLS in America. "That would have been a big decision for him, moving his family out there, so we had been speaking for a few weeks. "But I think once he made his decision not to go out there it made his decision to come here a lot easier." 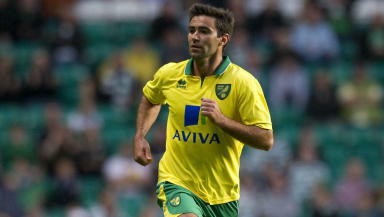 Wright added that Lappin's experience will help his otherwise young squad, with the former Norwich man bringing balance to the Saints midfield. He said: "I was with him at Norwich when I was goalkeeping coach. He's exactly what we've been looking for. We've been looking for a left-footed midfielder, he's experienced and he knows the league. He's hungry as well, even at 31 he wants to keep his career going. "His experience was important because we have some younger players in the squad so it was important in that sense to get someone of his experience in." Lappin himself declared himself "thrilled" with the move, adding: "The club has been going well with the success they had last season so I want to be a part of that. "He (Wright) didn't have to sell the club too much to me. I'm thoroughly looking forward to the season ahead."